Bruce is a son of Montana. He grew up in historic Helena during the 50’s and was deeply influenced by local historians who told stories of the Lewis and Clark adventure. There began his lifelong passion for the Corps of Discovery. His bride of 45 years, Pam, brought horses into their relationship, so horses have become the 2nd passion. A graduate of Montana State University, Bruce went on to a successful 35 year business career. He feels fortunate to stay and work in Montana. 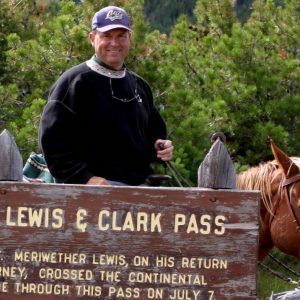 Over the years, he has ground proofed and witnessed many sections of the national Lewis and Clark trail; much of it by canoe or on the back of a horse. Bruce has earned his “Certificate in Interpretation.” He is a member of several Lewis and Clark support organizations including national, state, and local trail foundations. He helps raise money for his park and builds awareness with locals and school kids. He was chosen a State Parks Volunteer of the Year in 2014. 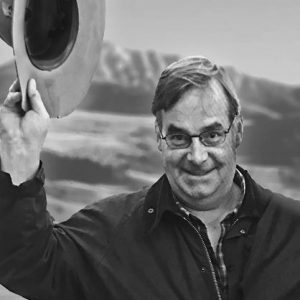 Bruce has shared his story to enthusiasts at many Montana State Park events, local business and history clubs, and Montana Historical Society conventions. His signature story is of “Ponies and Passes”. It’s the saga of the Corp’s perilous journey between the Missouri and Columbia waters. It merges those 2 passions… the Expedition and horses. We also are reminded that the Shoshone, Salish, and Nez Perce were there to assist the Corps of Discovery in such a big way they may not have come home without that help. This is one of the most exciting adventure stories ever told and this was the most defining time of the expedition! This American experience set the path for trappers and traders who followed close behind. Everyone can hopefully gain a new appreciation for another unsung group of heroes as the Corps successfully opened the American West. Ritchie Doyle aka Captain Clark passed away November 5, 2018 at the young age of 57. Read more…… He delighted hundreds of our guests over the last 25 years with his knowledge, stories and songs in his unique style of historical humor and wit. Above all, he was a kind and unconditionally generous soul. He was up for any mission, changed a few tires and always thinking of the next adventure and fun twist on Lewis & Clark. 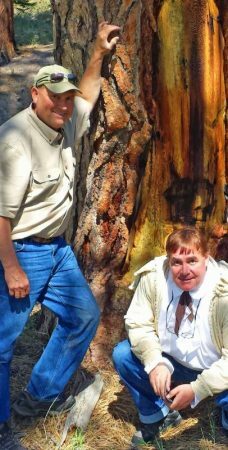 He taught generations of guides how to have fun with Lewis & Clark history. We were lucky to have you as part of the LCTA family of guides and guests. RIP friend.